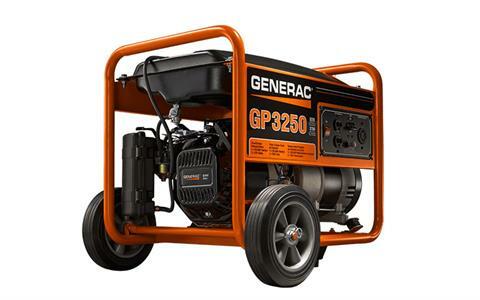 THE GENERAC OHV: Engine incorporates splash lubrication and provides long life. HARDENED STEEL TUBE CRADLE: For added strength and durability. HEAVY-DUTY, NEVER FLAT WHEELS: For reliable portability. Run Time @ 50% - 12.5 hr.